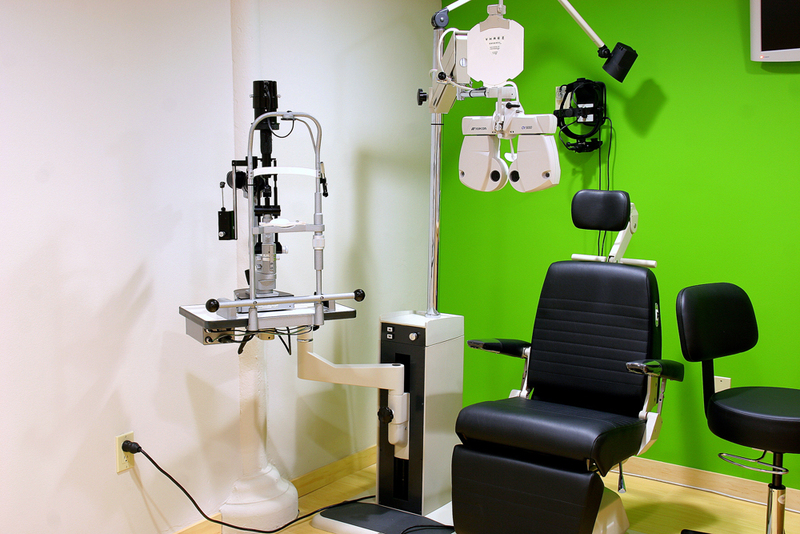 Welcome to Oculus Optometry, where your vision and eye health are our primary concern. We offer comprehensive eye health services for all members of your family. We know how much your eye health and appearance means to the quality of your life. My staff and I are committed to excellence and serving your complete eyecare needs. 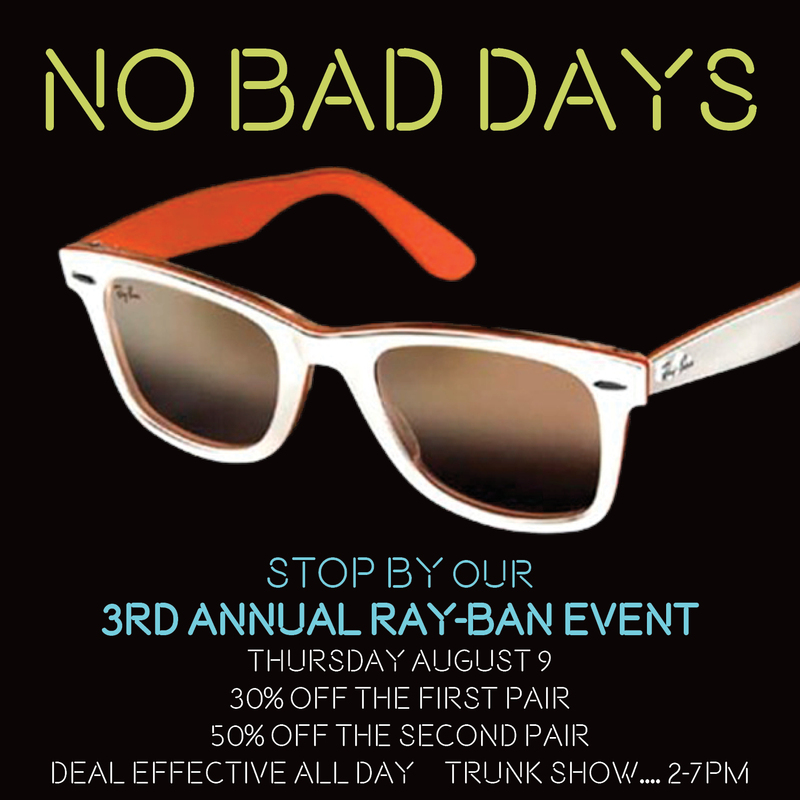 We look forward to meeting you and helping you with all of your vision necessities. 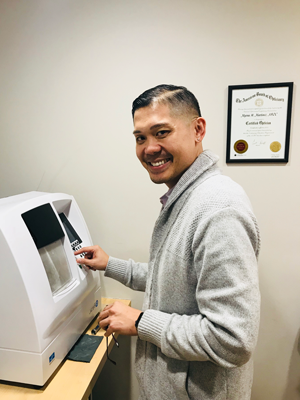 Oculus Optometry, situated in the heart of historic Mission street in South Pasadena, is a modern practice carrying the most technologically advanced optometric equipment, lens designs and contacts. Oculus Optometry was created for the sole purpose of serving the city of South Pasadena and its surrounding areas with the best eyecare possible. By taking our time and getting to know each individual on a more personal level, we are able to offer what is best suited for your specific needs. It is our mission to help you see and look your absolute best. We are your small town urban boutique for all your eyecare and eyewear needs. Hi, thank you for visiting our website. I’m Dr. Shirvanian and Oculus Optometry is my home away from home. We opened it in the summer of 2014 with the pure intention of being a place that offers a complete personal eye care experience. My goal, and my staff’s goal is to treat each individual like family, and to offer them the best customized plan suited for their wants and needs. I grew up in La Canada Flintridge, and completed my undergraduate degree in Biology from UC Irvine. I went on to attain my Doctor of Optometry from Pennsylvania College of Optometry. I received my clinical training at The Eye Institute in Philadelphia, which included advanced pediatric training, then continued my training at the Boston VA Hospital. I have extensive experience in all areas of optometry, including primary care, specialty contact lenses, pediatrics, and ocular diseases. I also participate in the InfantSEE program, which provides a one-time, no cost eye and vision assessment for babies 6 to 12 months old. I am a member of the American Optometric Association, The California Optometric Association, San Gabriel Valley Optometric Society, Armenian American Medical Society of California, and South Pasadena Chamber of Commerce. I welcome you to Oculus Optometry. Hope to see you soon. 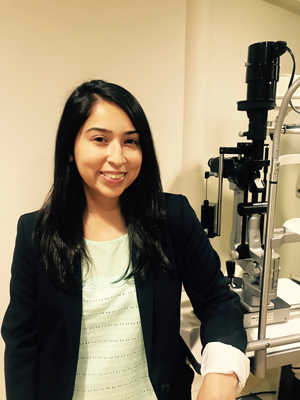 Hi, I’m Dr. Ochoa, and I have been working with Dr. Shirvanian and the team at Oculus Optometry since February of 2017. I am passionate about eye health, and I strive to give each and every patient the very best care. I grew up in Hayward, CA, and received my undergraduate degree in Biology from UC Santa Cruz. I then received my Doctor of Optometry degree from UC Berkeley School of Optometry. I externed at the Palo Alto VA Hospital - Livermore, the Hayward Wellness Center, Marin Community Clinic and UC Berkeley University Eye Center, where I received clinical training in primary care, geriatric eye care, ocular disease management, pediatrics and contact lenses. I then went on to complete a residency in ocular disease at the Sepulveda VA Hospital. I am certified in the treatment of glaucoma, anterior segment disease, co-management of cataract and refractive surgery. I am a member of the California Optometric Association, the American Optometric Association and the Los Angeles County Optometric Society. 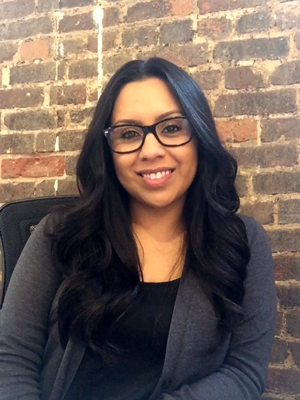 I look forward to taking care of your eye and vision needs! Hello, I’m Myrna Martinez. As a double certified optician with 12 years of experience in the optical field, it is extremely important for me to impart my expertise of the optical industry with every patient. After receiving my diploma in Optical Dispensing I ventured into different areas of the field and gained an enormous amount of knowledge in facets such as lens fabrication, tinting, frame adjustments, repairs and most importantly customer service. After years in the field, I began teaching the Optical Dispensing program at American Career College, where I was able to share my knowledge and techniques with young, aspiring opticians. I have since received my certificate from the National Contact Lens Examiners as a Certified Contact Lens Technichian. I strongly believe in continuing education to keep current with our technologically changing field. I know sometimes it can be very overwhelming with all the different kinds of lens options and add-ons that are out there. That is why I take great pride in explaining the pros and cons of the various lens designs and helping you decide on the best option for you and for your individual needs. I love getting to know each patient and their families because at Oculus Optometry it is our goal to make you feel comfortable and at home. Hi, my name is Ron, and I am a certified optician here at Oculus Optometry. I have been in the optical industry for 10 years, and have narrowed my focus into lab work, where I ensure technical quality care in each pair of glasses. I’ve developed years of experience in edging, cutting, tinting, and working with all kinds of lenses. With this combination of knowledge and practice, I have learned how important it is to create personalized lenses for each individual. It is my pleasure to guide you in receiving the best quality glasses and services. I will gladly like to help you in inquiries regarding vision insurance, the different types of lenses, and frame fittings. Throughout your experience, I will adhere to the fidelity of following through with your needs and concerns, even after your visit. Greetings, my name is Suzy Petrosyan. It is my privilege to help each patient understand the different types of lenses that we offer. We understand how essential your eyes are to your lifestyle which is why it is crucial to recognize the benefits of different lenses and what they can offer you. I myself am fashion-forward, therefore helping you select frames to fit your character is a pleasure, to say the least. Unlike the rest of our body, the eyes rarely hurt when something is wrong. Eye diseases such as cataracts, glaucoma, macular degeneration and conditions caused by diabetes and high blood pressure usually present with no visual symptoms in the early stages. Over time, though, they can cause permanent damage to our eyes. A comprehensive eye examination checks the internal and external health of your eyes, checks for disease and does a refractive visual analysis to see if a change to your prescription is necessary. Eye exams for children are extremely important, because 5 to 10 percent of preschoolers and 25 percent of school-aged children have vision problems. Early identification of a child's vision problem can be crucial because children often are more responsive when problems are diagnosed early. Even if no eye or vision problems are apparent, it is recommended to schedule your baby's first eye assessment at 6 months. InfantSEE, a public health program, designed to ensure that eye and vision care becomes an essential pat of infant wellness care to improve a child's quality of life. Under this program, participating optometrists provide a comprehensive infant eye assessment between 6 and 12 months of age as a no-cost public service. There are a number of reasons why you might prefer contact lenses to standard eyewear: a glasses-free look, hassle-free vision correction, wearing non-prescription sunwear and goggles, or just simply wanting to change your eye color. If you have a high prescription or astigmatism, contact lenses may provide more enhanced vision correction than glasses. We can even replace your bifocal or progressive glasses with contacts. Laser Vision Correction is a group of surgical procedures developed to help you reduce or even eliminate your need for eyeglasses or contact lenses. LASIK is the most common type of procedure to reshape the cornea. Are you a good candidate for LASIK? We will work with both you and the surgeon to obtain the best outcome only after all potential risks have been addressed and discussed. Cataract formation is typical later in life as an unfortunate side effect of aging, affecting both men and women usually around 55 years of age. Although not everyone will get cataracts, spending a lot of time in the sun, smoking and other lifestyle factors may increase your chances. A cataract is essentially a clouding of the eye's lens, and may cause a varying degree of vision obstruction. When cataracts become larger, they can obstruct the lens and interfere with the way your optic system processes light, creating blurry vision, trouble with night vision or difficulty distinguishing dark blue from black. When the lens loses clarity due to a cataract, the only solution is to replace the lens through cataract surgery. We will perform a thorough preoperative eye examination to determine if surgery is appropriate for your individual case. Oculus Optometry offers you the best selection of ophthalmic frames and sunglasses around. 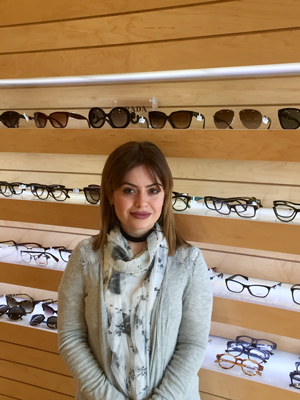 We carry a wide selection of brands that cater to everyone's needs, whether stylistic, trendy, comfort, unique, or functionality, we have the right frame for you and your family. These are some of the brands we carry. Your prescription will be measured utilizing the Topcon CV-5000PRO Vision Tester which sets new quality standards. It is a modern device, which combines the most advanced refractive technologies and digital testing. It is designed for accurately determining the optical error of your eye and your best corrected vision. The M'eye Fit Touch, is a high quality device which provides precise measurement of standard lens fitting parameters. It measures the pupillary distance, fitting heights, lens tilts, and vertex distance. 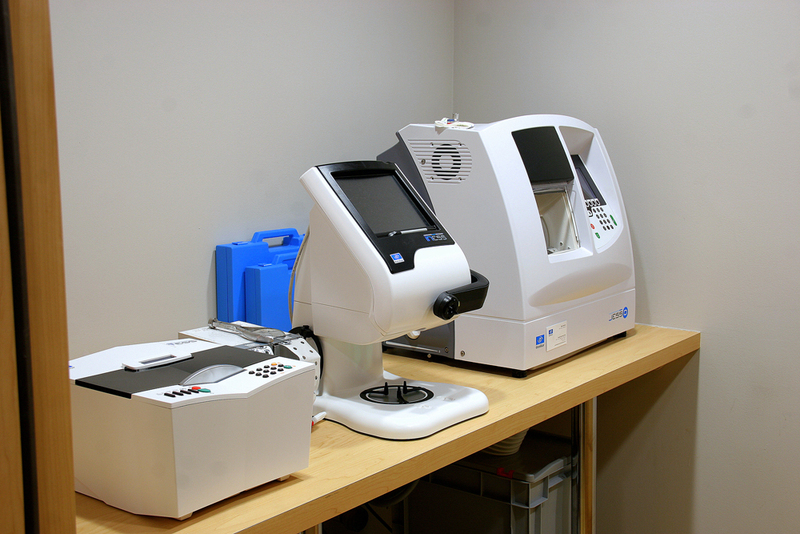 Our in house lab features The Triplets from Essilor Instruments. They make up an integrated edging office system that includes a tracer, blocker, and edger. They are all 3-D digital systems, and you are welcome to see how your glasses are being made. We accept Cash, Personal Checks, Debit Cards, Visa, MasterCard, Discover and American Express. We accept most vision and medical insurances including VSP, EYEMED, MES, MEDICARE and Medi-Cal. We confirm eligibility and benefits before eye exams and eye wear purchases. If you do not have vision insurance and would like to sign up through VSP or just get detailed information about their different offerings for individual or family coverage please click on the next link. Our staff speaks English, Spanish and Armenian. We are conveniently located in charming, historic South Pasadena. There is ample, free parking on the street and also behind our building.